Whether you want solar panels installed for your home or business, renewable energy is a great choice for a few reasons like saving on utility bills, helping the environment, and creating a better future for your family and community. At West Coast Solar, we believe clean energy is the future of the energy market, and we will help you design and install a solar energy system. Send us a form online or give us a call today to get started on your project. If you’ve noticed your energy bills on the rise, you’re not alone. Thousands across California are seeing the same trend. Some are calling it a natural upswing in the market. Others are taking action and installing solar panels on their home. If you want to design and install your own solar power system on your home, give West Coast Solar a call. Our design experts and certified solar technicians will help you switch to solar energy. 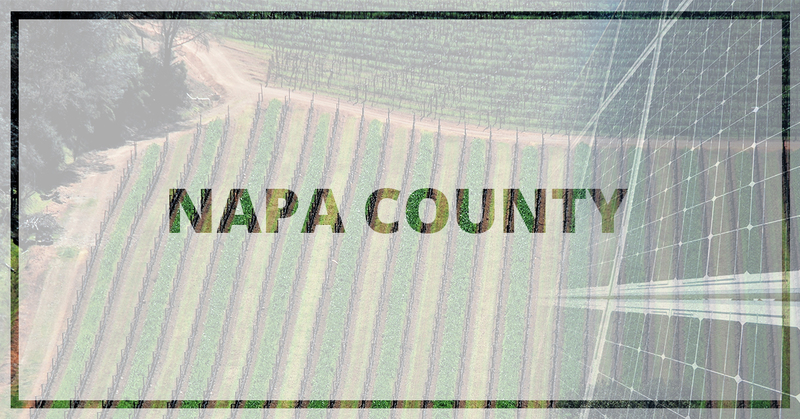 Do you own and operate a business in Napa? Do you want to take advantage of renewable energy? If you have space on your roof or on nearby property, you could install a complete solar panel array to power your business. Renewable energy is a long-term investment strategy. The lifespan of any given solar system is about 20-30 years, and it can generate more than enough energy to power your home or business. Additionally, the Solar Investment Tax Credit (ITC) encourages the switch to solar, which offers up to 30 percent in tax credit towards the design and installation of the system. If you’re passionate about green energy, solar panels are obviously a very exciting investment opportunity. You’ll be thrilled to know that there are more ways to stretch your investment in green energy through solar panels. You could spread the cleaner energy throughout your neighborhood while getting paid for it. All you’d need to do is get your solar panel system hooked up to the grid and then you can start to sell your unused clean energy units back to your utility company. Thus, you can pass on the energy bill this month and get an energy check instead. It’s just another way to profit from the initial investment and start to recoup the initial cost for the technology. If you want to generate renewable energy with your home or business, make the switch to solar. You will be helping the environment, saving money, and creating a better future for your family and your community. Give West Coast Solar a call today to get started!